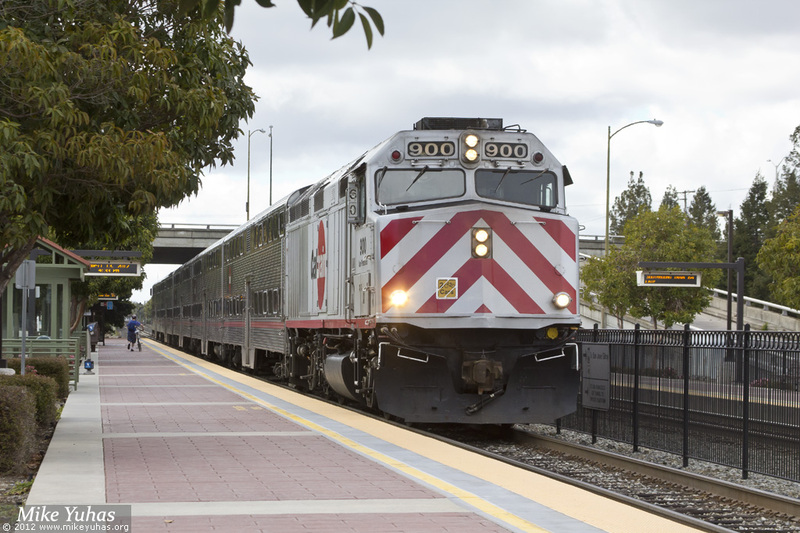 Caltrain train 260 makes its stop at the San Antonio station. Peninsula commute service is operated by Amtrak on former Southern Pacific trackage. This southbound train originated in San Francisco and is en route to San Jose.